A few months ago, I sent out a survey to find out what people were struggling with. 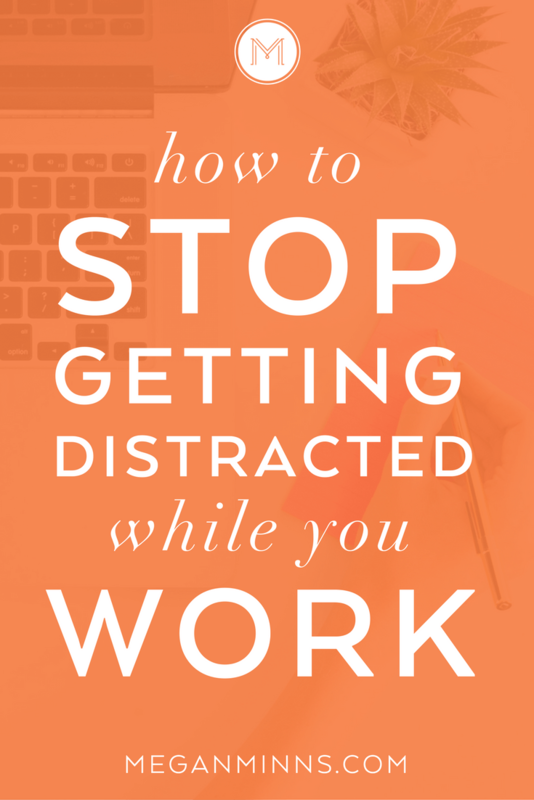 One of the common things that kept coming up was how to stop getting distracted. While I'm not perfect, I have developed a routine to help me stay focused and avoid distractions while I work! Let me kick this off by letting you know I’m not perfect. You can't be 100% focused 100% of the time. It just isn't in our human nature! But I have developed my own "routine" that helps me avoid getting distracted and stay focused. I know that if I do these six things, that I'm setting myself up for success and more likely to stay focused while I'm working! The first thing you need to do is turn off all notifications. Have you ever actually tried turning off your notifications? I'm not just talking about specific apps. I mean everything. Put your computer on do not disturb, turn off your phone notifications, and mute your phone. If there is something around you that can buzz or alert you to a notification, it needs to be turned off and silenced. No vibrate either! Our goal here is to keep you as focused as possible on the task at hand and any kind of notification you receive will instantly distract you. So give this a chance and actually turn off your email notifications, social media notifications, app updates, text messages, and anything that will ding, buzz, or tick! Oh and if you use an app like Slack to communicate with your team, you better believe that needs to get turned off as well while you're working. Even though I work from home, distracting noises are everywhere! Whether it is my dog barking, a car driving by, or just people making noise, I don't want to get distracted by these things while I'm working. So in order to avoid this distraction, I put on comfortable, noise cancelling headphones. 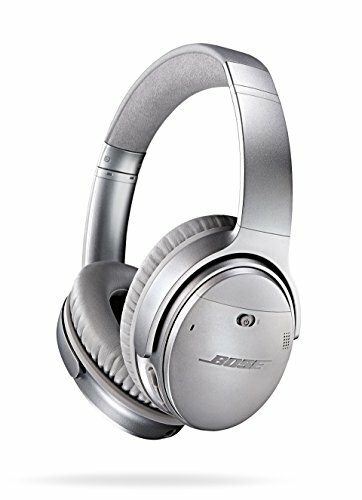 Right now I use my husband's wireless Bose headphones. They're so comfortable I can wear them all day long! I've always loved listening to music, but I've found that if I want to be as focused as possible, I can't listen to music with words. If you think about it, when you listen to music with words, your brain is always processing the words that it's hearing. So by listening to music with words, you're wasting valuable brain processing power! Instead of listening to music with words, I listen to playlists that are designed to help you focus. My favorite website and app to listen to is Brain.fm. You can choose between three activities: Focus, Relax, and Sleep. When I sit down to work, I'll choose the Focus playlist. But I actually end up listening to Brain.fm almost the entire day because I go to bed listening to the Sleep playlist every night! If you're a Spotify user, they have a whole Genre called "Focus" where you can choose from different playlists that are designed to help you stay focused. If you want to stop getting distracted, you have to close every single tab, window, and application that you don't need to do the work you're focusing on. This includes your project management system and communication applications too! If you leave these open, you're going to get distracted by new messages you get from your team, notifications from your clients, and all the other work you have on your plate. And if you're not doing work online, then close the laptop! When you're trying staying focused, it is normal for your brain to suddenly have a brilliant idea, remind you of something important you need to do, or to just have thoughts that are distracting. Instead of getting immediately distracted by these thoughts and trying to take action on them, you need to create a temporary place to capture them. We don't want to lose these ideas after all! So my friend, Beverly Bean, suggested using a small legal pad as a way to capture these thoughts and ideas. 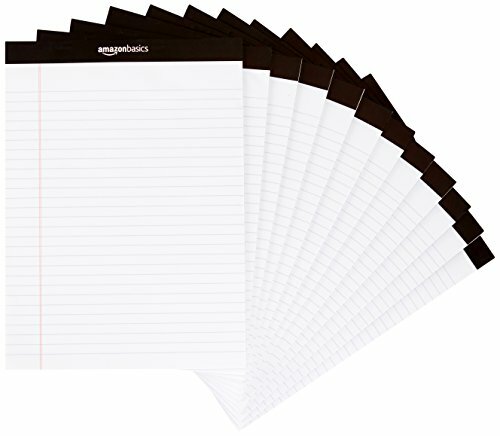 Have this legal pad on your desk at all times and quickly write down thoughts and ideas as they come to you. You can rest easy knowing that you've captured and documented the thoughts! So what do you do with this list later? When you're done working, you can go ahead and take everything you wrote down and put it in a more permanent place. Step 6: Set a timer! If you haven't heard of the Pomodoro Technique, I highly recommend you try it! RELATED POST: Learn more about how I use the Pomodoro Technique in my blog post, How to Plan Your Day the Night Before. In the Pomodoro Technique, you set a timer for 25 minutes and work on the task at hand until the timer is up. After the work session, you take a 5 minute break and then repeat the cycle. The key to this technique is that you need to be completely focused during this 25 minute work session. So when we talked about Step 1 of turning off your notifications, it really just has to be for 25 minutes at a time! Working and staying focused for 25 minutes at a time is easy and still allows you to actually make an impact on the task you're working on. Using the Pomodoro Technique has been a game changer for me! While you can use various productivity apps to help you track your pomodoro sessions, lately I've just been using a basic digital kitchen timer to help me track my time! Another tool I love to use is the Productivity Planner! Instead of writing down your meetings and appointments, this planner allows you to prioritize your tasks for the day and how many pomodoro sessions you think each task will take! Want to learn more about how I stay organized and productive? I’ve got a system just for you! I use my project management system, Asana, as the “headquarters” for my business and life. Asana allows me to capture ideas on the go, delegate to my team, create workflows and processes, and build out thorough project plans when I’m creating a new product. If you’re interested in learning more, then head over here to find out more about how I organize my life and business in one place using Asana!